Warm sunny days are on their way. Those hazy, lazy days when pottering in the garden is mandatory, and frozen treats are to be enjoyed in the deckchair. 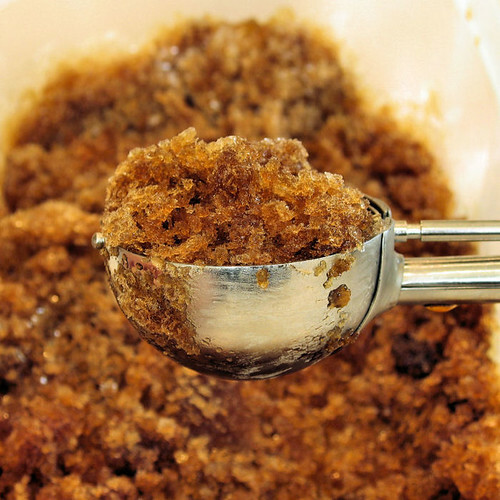 I've already made this coffee granita twice. It's not one of those overly sweet, sickly desserts, it's more of a grown up treat that's perfect after dinner. What's more, you don't need an ice cream maker for it. Place the sugar and water into a large saucepan and heat gently until the sugar has dissolved. Bring to the boil and boil for 5 minutes, add the coffee and then leave to cool. Pour into a rigid freezer-proof container, cover and freeze for an hour. Once it has begun to freeze, break up the frozen bits with a fork and return to the freezer. Check the granita every 30 minutes or so and keep breaking up any large crystals with the fork, until you have lovely fine, icy crystals. To serve: spoon the granita into glasses, pour over a little liqueur, then top with a spoon of whipped cream and some chocolate shavings. This is heading over to an event called You Scream, I Scream, We All Scream for Frozen Desserts! It's being hosted by Mike's Table and I can't wait to see the round-up - there's going to be loads of ideas for frozen desserts - so keep your fingers crossed for warm sunny days ahead! The round-up is now posted, see it HERE! Yum! And it doesn't need an ice cream maker - what a refreshing change! I go crazy looking at ice cream recipes I can't make. Wow, that looks great! And I don't even like coffee (I have never grown up) I make a coffee ice cream that you don't have to use an ice-cream maker for. It looks so refreshing - and with the added benefit of not needing an ice cream maker! Oohhh yes. I'm always thrilled when frozen treats other than ice cream come up, because I'm still waiting for the ice cream maker I want to get free shipping again. This one looks fabulous! Nicisme, What a refreshing dish. I agree it would be perfect on a hot summers day. I'll have to give it a try once the weather starts to warm up here. Been a lousy spring/summer here so far! Very nice! I'm not a big sweet eater but this one Nic I may try. My DH would love this....Coffee and chocolate his fav. Grace - lol, you can sneak behind the bike sheds with one! Helen - I used to still make them without the maker, just keep whisking every so often. Raquel - I don't like really strong coffee. I'll look forward to your recipe. Beth - welcome and thanks for your comments! Judith - thanks, and I'm thinking this is better for you than the creamy ones! Chuck - sorry to hear your weather's not up to par yet. Ours has been a bit hit and miss as well! I'll do a sun dance tomorrow!!! Hi Miri - stop bragging, send some of that sunshine over to Chuck and to me! Sue - please try it, and you could pour over some chocolate liqueur instead of the TM, yum! Oooh now, like Sue I don't really eat desserts, but Tia Maria in the topping!! Nic that looks delish! That looks so good...especially during this heat wave! Looks stunning :) and I love that you don't need an ice cream maker. The ice cream event sounds v cool (get it?) am looking forward to entering something myself. This looks really yummee. I have an ice-cream machine, but too lazy to take out the cupboard - perfect! Granita sounds like a bit of work compared to ice cream but it looks like it is worth the effort! Nic - me again. You need to look at my blog coz you've been TAGGED!! i love that top photo... so much texture!!! a big yay for this one! Delicious and fresh, that's all I can say!! Beautiful Nic! I love coffee, this is perfect for those days when it's just too hot for a cup of joe! I love granita because I can actually think about making it without agonizing over whether or not to buy an ice cream maker. 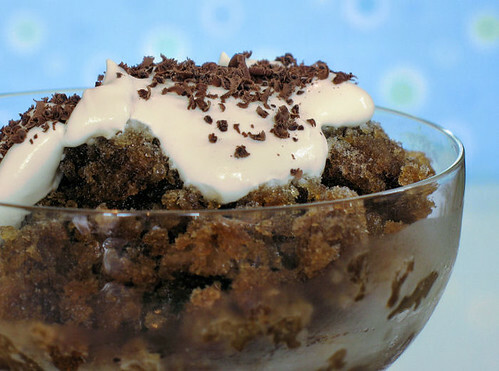 Wow, coffee granita! What a great idea... especially now during those hot days... I will be making one tomorrow :))))) Thank you! Fabulous granita Nic! what a brilliant change from the usual fruity ones, and gorgeous photo too. Woo Hoo!!! This sounds like one to be bookmarked. It sounds very refreshing for these hot summer days coming up! I used to make this a lot, but mine never looked this good!! Fab job! Luckily granita and ice cream are dishes that really aren't weather dependent - I could eat them even in arctic temperatures! I don't know why I have never made granita. Oh yes, now I rememebr, beause I never have room in my freezer to squeeze in even a mouse! Next time I take out somethign fairly large, I must remember to make this and pounce on the available freezer space as it sounds heavenly. Love that first pic!